– Submit an online application at http://www.jsums.edu/ by clicking the “Apply to JSU” link on the homepage. You may check the status of your application by calling (601) 979-0928. – Request your high school to send an official transcript to Undergraduate Admissions. – Request official ACT or SAT scores be sent to Undergraduate Admissions. We suggest that these scores come directly from the ACT or SAT. 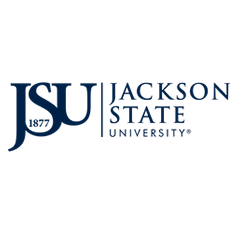 Jackson State University’s College Code for ACT is 2204 and SAT College Code is 1341. – To view your award and Accept Your Loan Offer, go to www.jsums.edu and click on JSU PAWS. – Log in using your User ID and PIN, then click on Financial Aid, next click on AWARD and select Award Year 17-18 and follow the instructions. – If you would like to add or change your dining plan, please call 601-979-0441 or stop by the Student Services office next to the UPS Store, 1st floor, New Student Center. – Additional fees may apply. Money can be added to your Super Card or Tiger Bucks account at any time. c. Make pyament online or see a cashier to make a payment (Location: 2nd Floor, B.F. Roberts Hall) (601)979-2097 or make a payment online, if needed. – Pay for Decal in the Business Office (Location: 2nd Floor, B.F. Roberts Hall). ID Card photo and pick-up (new students) (Location: Reddix Building, 3rd Floor) August 10, 2017, through August 25, 2017 Jacob L. Reddix Building 2nd floor) (ID Center located directly behind the Reddix Building) (601)979-2407. STEP 10 – Congratulations! You have completed your registration.